Your website team page says a lot about your company. How do your employees interact with each other. What is your culture? Is it fun place to work? Is it serious Serious? Creative? All can be communicated on a team page. Here are a few examples of our clients and some of our favorite team pages. I have screen shots of the the web sites here. See the actual page by clicking on the link in the paragraph below it. Sloane Sakai Yeung Wong LLP is a public law working with government entities. We photograph them with a wider half body look. 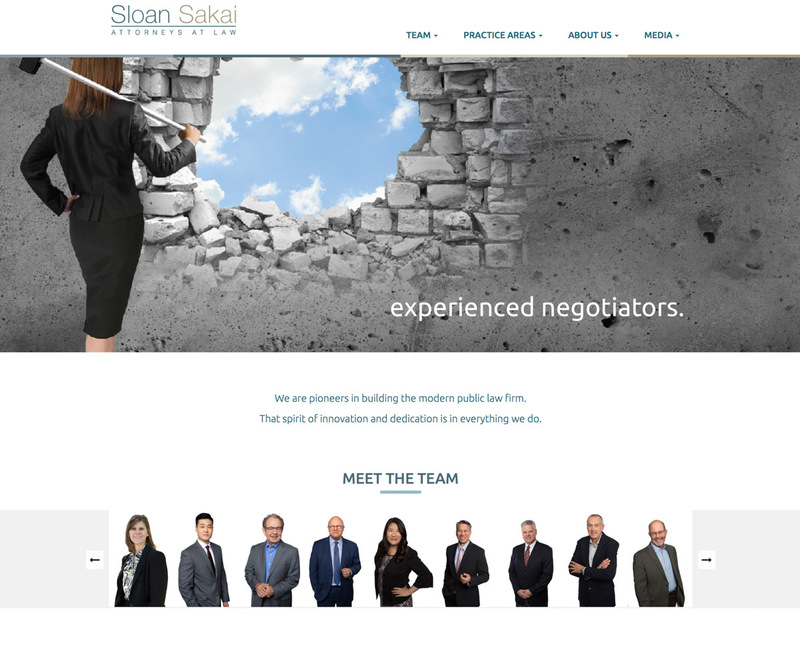 Their dynamic splash page trumpets their vibrant firm and the energy of their attorneys. Mouse over each attorney for their name and click for their biography. We photograph them on both black and white backgrounds. They use the white for their splash page and the black for the team page. Each new attorney comes to our San Francisco studio for their matching headshot. 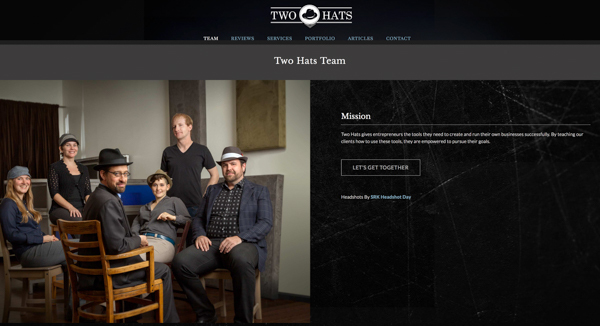 Two Hats Consulting has been a collaborator of ours for years. They create websites many small companies and entrepreneurs. They are unique in that they build and design websites. We work with them to provide photography for many of their clients. One thing I like the most about their website is that they use a team photo instead off individual shots to show their team. Of course, if you aren’t as stable with your employees on your team as Two Hats, you would have to redo this photo often! 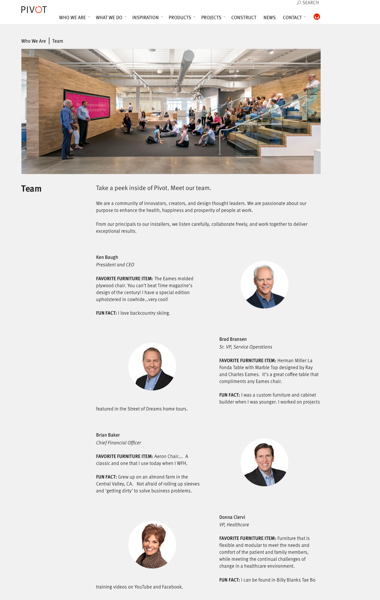 Patent law firm Schox combines the team approach across the top of their team page with individual black and white headshots of each team member below along with their bios. We originally photographed all the Schox team at their location. Then as they have added new employees, they come to us for individual headshots. The black and white treatment really gives a consistency to the page. Pivot Interiors is the largest Herman Miller furniture dealership in the country. We provide headshots for them in Northern and Southern CA. Because they have so many employees, their team page focuses on their executive team. In order to integrate new people quickly on the website, they have opted for a white background on their classic headshots. This allows new team members to be integrated seamlessly onto the team page. Pivot gets headshots for all employees and uses them for proposals and other marketing materials, even if they don’t appear on the team page. Hydroscience Engineers has four offices in Northern California. We went to all four to photograph their people originally. Now as they add more people they send them to us, We use a gray background with a lower left gradient. 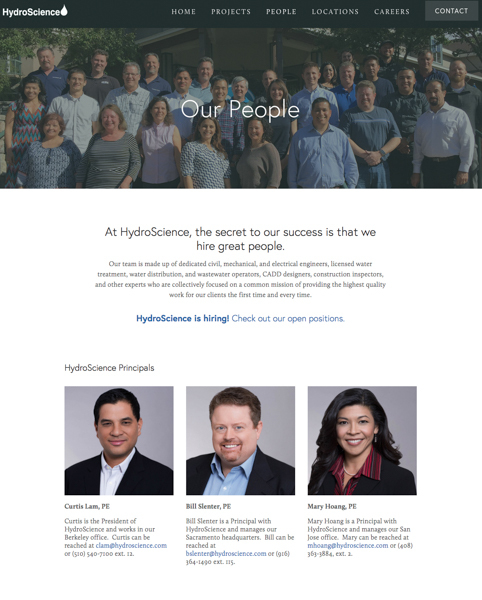 Their website just shows executives but all employees get photos. They use them for internal communications and proposals. The Law Offices of Amy Oppenheimer provide workplace investigations regarding employment matters. We originally photographed five attorneys at our SRK Headshot Day location. Then as they have added people, they have sent them to us one at a time and added them to the website. We photograph them on a black background with a gradient behind them. This is one of our two Classic headshot backgrounds. How does your team page look? Does it communicate a cohesive team and give a flavor for your company? 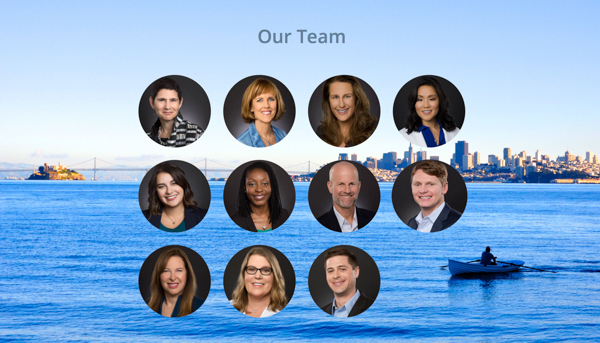 Do you have missing team member headshots because you can’t find a cost effective way to add new team members one at a time? Do you have headshots that don’t match? We can solve all these problems. Our process is easy. If you have twelve or more people that need headshots, we can come to you. We will work with you to select a background that can be used for all your team member photos. Then as you grow you can have us back out whenever you get twelve or more people. Or even easier, you can send them to us one at a time as they are hired for matching photos. If you have fewer than twelve people, send them to us. You will get same detailed and considered service we provide all our customers. If you already have a standard and are adding new employees, but cannot match the old photos, we can help there as well. We can match your existing standard at our SRK Headshot Day. Send us an email or call us today and we will set up a program that works for you. Or book your session today on our website.